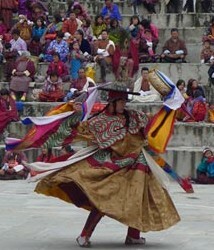 Window to Bhutan is our partner in the Kingdom of Bhutan. BillJones.Travel feels passionately that it is imperative to give back to the local communities we visit. Our philosophy is based on the strong belief that travel to developing nations can have an equally positive impact on the local residents as on the visitors. Many of the countries in Asia are evolving and, as such, benefit greatly from assistance in areas like education, arts, healthcare, children’s needs, architecture preservation, environmental preservation and wildlife protection. We highly encourage clients traveling with us to visit NGOs and to take an active interest in their missions. These are some of Bill’s favourite foundations. Tarayana’s mission is to help the vulnerable and disadvantaged help themselves, with the goal of creating a happy and poverty free Bhutan. The foundation looks at life through the eyes of the most vulnerable people, understanding their dreams, and providing means for them to reach out to achieve those dreams. Tarayana Foundation was established in 2003 by Her Majesty the Queen, Ashi Dorji Wangmo Wangchuck, as a potential solution to the problems of the disadvantaged that she witnessed first hand during her tours to the remote corners of the nation. Despite the pro-poor development strategy of the government, small communities in far-flung areas are still lagging behind. The Foundation was established to help these communities achieve self-sufficiency through small and targeted interventions. Tarayana Foundation is a non-profit organization wholeheartedly working to uplift and enhance the lives of people in rural communities in Bhutan. The foundation complements and supplements the efforts of the Royal Government in poverty reduction by espousing the national goal, Bhutan 2020: A Vision for Peace, Prosperity and Happiness.